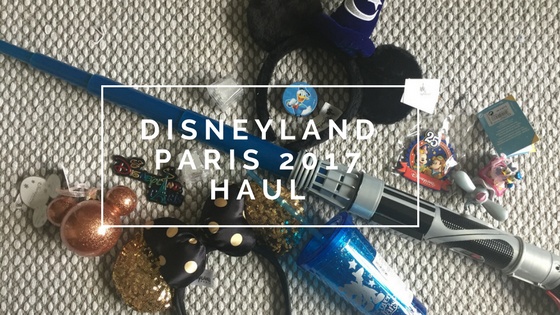 We've recently just come back from an amazing long weekend at Disneyland Paris. Whilst we had an amazing time meeting characters, watching shows and going on rides. We also spent a fair amount of time browsing the shops and making a few purchases. 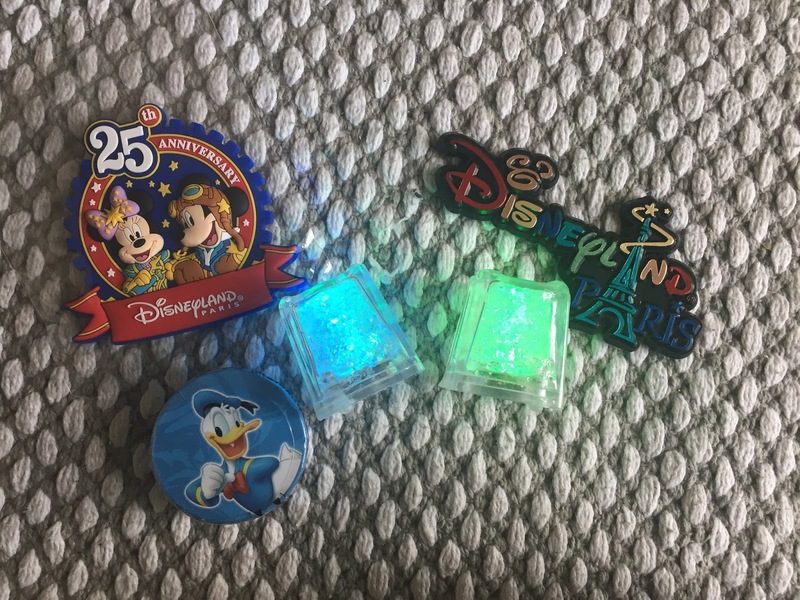 Whilst I didn't go wild this holiday, I did buy some special treats for myself and loved ones and wanted to share a mini haul on the blog for everyone to get some gift inspiration too. First up was the obligatory ears. They were one of the first things that I bought as soon as I got to Disneyland Paris. 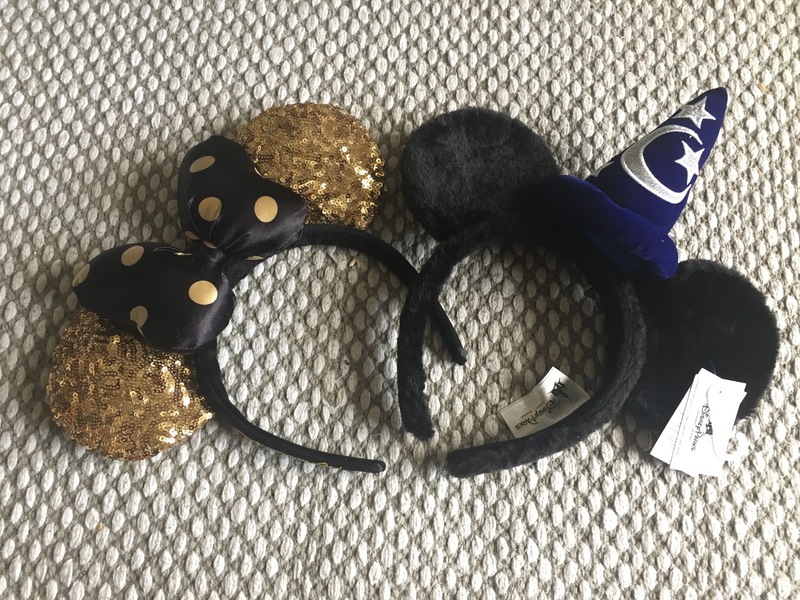 I opted for the 25th Anniversary gold and black ears which I didn't take off all weekend! Whilst most people seemed to have similar ears, I just loved how they were that bit different from the classic ears. I also purchased the Sorcerer Mickey ears for my friend Louise as it was her birthday whilst we were away and see is off to see Fantasia with a live orchestra accompaniment. Whilst I love these ears, I'm not too keen on the soft fur like effect. The glitter was more my cup of tea! Max was given some money before we went and I made it clear with him that I wasn't going to top up the amount. Partly because we didn't take much money with us, and also because it's his birthday soon and I felt he would just fritter his money away. I was pleasantly surprised that he only wanted one thing. A lightsaber. 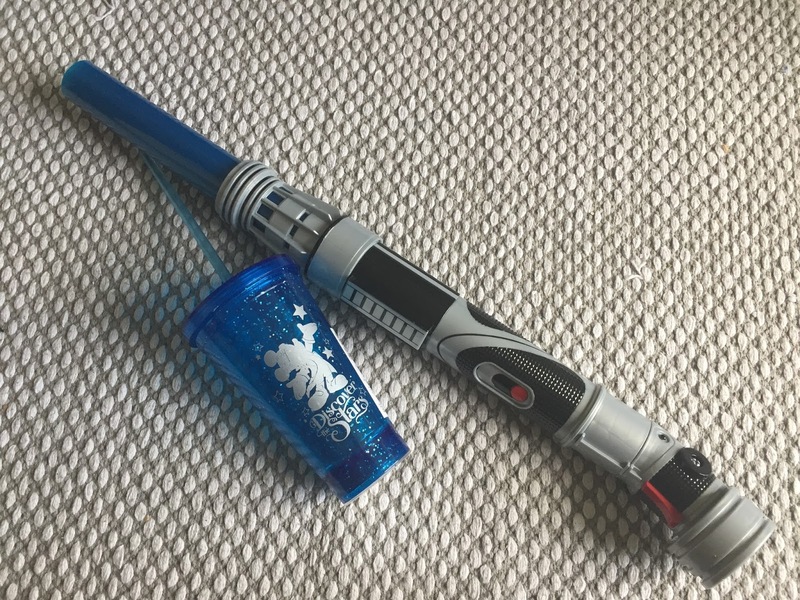 Over the course of the weekend, he had become more and more obsessed with Star Wars, so it made sense that his purchase would be something Star Wars based. He chose a make your own model, where you pick all the components to make it truly unique. He also picked up a limited edition light up cup. This was a free cup that came alongside a kids mocktail that he had in the bar one night. It's a perfect little memory that he could use on a daily basis. Talking of drinks, I had a few of the famous Glowtinis which come with light up fake ice cubes. These cubes have a handy on and off switch that meant I could take them home and keep them for when I want to have a fancy drink. I also picked up a couple of fridge magnets, one for my mum and one for my grandma. Both of them collect fridge magnets from places either they have been, or friends and family have been to. So I had Max pick out what each of them had. On top of that I picked up a small tin of sweets with Donald on. For one Euro, this was a complete impulse purchase and as a bit of a Donald fan, I thought it was a perfect little tin to keep on my desk with my other trinkets. Finally I couldn't go to Disneyland Paris without picking up a christmas decoration. I wanted to grab a Disneyland Park exclusive and as soon as I saw this gorgeous Donald and Daisy on the Dumbo ride, I knew that was the one. With a hint of sparkle and the delicate design, I honestly can't wait to put the tree up and see it with the other Disney decorations. I also picked up this rose gold plastic Mickey head bauble. It was on offer as a spend a certain amount and get it for 3 Euros, which I obviously couldn't say no to. Whilst it's quite large, I may hang it somewhere else in the house to make it fit in a bit better.